Tragedy strikes as a tour bus carrying 26 tourists from China crashes, bursting into flames in Taiwan, killing everyone on board. The accident reportedly took place along the No. 2 national highway in Taoyuan county, where the island's international airport is located, yesterday, July 19, 2016. 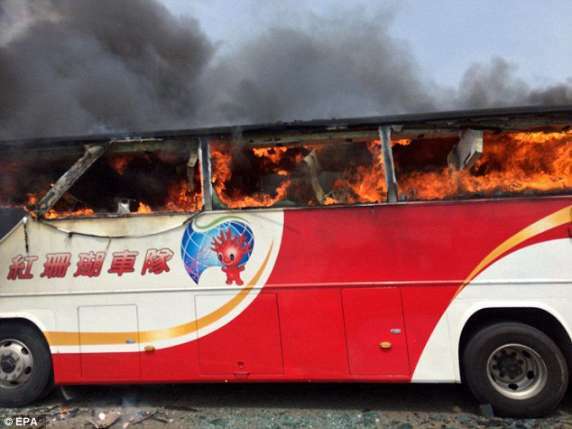 The county fire and rescue service disclosed in a statement that, 24 of the tourists on board the bus were visitors from China's Liaoning province who were scheduled to return home on Tuesday afternoon. The other victims were the driver and a tour guide, who were Tiawan indegenes. 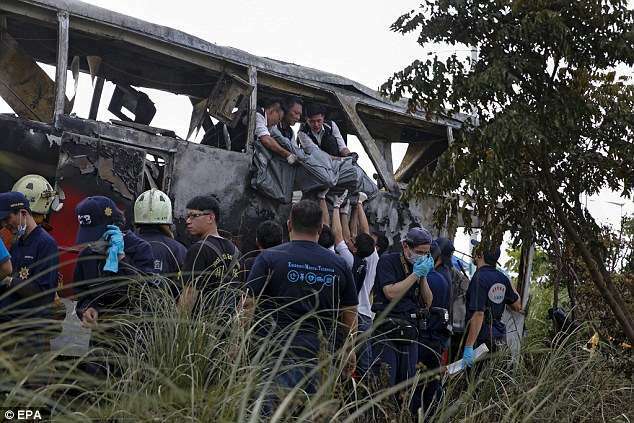 Taiwan's China Times reports that nobody had been able to make it off the bus, adding that most of the bodies where burnt beyond recognition. So far, there has been no official statement on the cause of the fire, although Taiwan's official Central News Agency and other local stations report that the bus had burst into flames after spinning out of control and smashing into the guard rail on the highway.